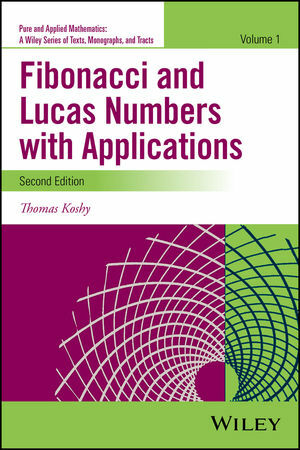 Fibonacci and Lucas Numbers with Applications, Volume I, Second Edition provides a user-friendly and historical approach to the many fascinating properties of Fibonacci and Lucas numbers, which have intrigued amateurs and professionals for centuries. Offering an in-depth study of the topic, this book includes exciting applications that provide many opportunities to explore and experiment. The Second Edition is appropriate for upper-undergraduate and graduate-level courses on the history of mathematics, combinatorics, and number theory. The book is also a valuable resource for undergraduate research courses, independent study projects, and senior/graduate theses, as well as a useful resource for computer scientists, physicists, biologists, and electrical engineers. Thomas Koshy, PhD, is Professor Emeritus of Mathematics at Framingham State University in Massachusetts and author of several books and numerous articles on mathematics. His work has been recognized by the Association of American Publishers, and he has received many awards, including the Distinguished Faculty of the Year. Dr. Koshy received his PhD in Algebraic Coding Theory from Boston University.